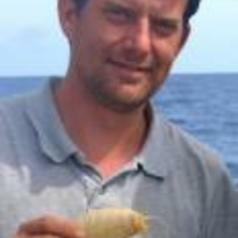 My research interests are primarily biological exploration of the deep sea and associated technology. My main focus is on exploring the Hadal Zone (6000-11,000 m). The hadal zone comprises deep trenches formed by tectonic subduction and centred mostly around the Pacific Rim. I was heavily involved in the HADEEP project (2006-2011; Nippon Foundation/NERC) and the subsequent HADEEP2 and 3 projects; 2011-2013, Total Foundation and 2013 MASTS respectively. These projects were in collaboration with AORI, University of Tokyo (Japan) and NIWA (New Zealand). I designed and operated the suite of Hadal-Landers used in these projects (Hadal-Lander A and B, LATIS) and have participated in nine trench cruises since 2007 (Japan, Izu-Bonin, Mariana, Kermadec, Tonga and Peru-Chile) with at least another two cruises coming in the next year. I am currently PI of 'Trench Conection', dubbed HADEEP4, which is a Total Foundation funded 2-year project involving a large research campagin across the deep abyssal plains of the South Fiji basin and the New Hebrides trench off the coast of New caledonia in the SW Pacific. The highlights of this research so far have been unequivocally proving that decapods do exist in the trenches, filming of the deepest fish seen alive, filming the deepest fish in the southern hemisphere, having a hadal amphipod named after me and finding the ‘supergiant’ amphipod in trenches and the southern hemisphere for the first time. More recently I was involved in the first biological exploration of the New Hebrdies Trench and proving that fish are biochemically contrained from reaching full ocean depth. This work has also gathered significant public interest which has led to various interesting public outreach endeavours such as Blue Peter, the Filmic Art 3D Deep Ocean Experience Blu-Ray DVD, and various other media activities. I am also now involved as a co-PI in the HADES project with Woods Hole Oceanographic Institute, University of Hawaii, Whitman College (USA), NIWA (NZ) and NOCS (UK). This project, funded by NSF (USA) involves the pursuit of the foremost questions in trench and hadal ecosystem science, determining the composition and distribution of hadal species, the role of pressure, food supply, physiology, depth, and seafloor topography on deep-ocean communities and the evolution of trench life. These factors will be examined using the world’s first full-ocean depth hybrid remotely operated vehicle (HROV Nereus) in conjunction with the full-ocean depth imaging landers (Hadal-Lander, LATIS). The web site is http://www.whoi.edu/website/hades/ and features an image and video archive featuring some of the highlights from the trench work, including HADEEP. The HADES project was also featured in Science recently. I am the leader of the MASTS Marine Technology, Platforms and Sensors forum and I am also deputy forum convenor to the Deep-Sea Forum within MASTS.